What kind of moron did this test? Odysseus didn't call or text - he used Google +... what a moron. I wish we got homework like this. And Odysseus didn't call them on his mobile, he texted. There = not here. Their = belonging to them. Sheesh, kids these days! Odysseus didn't call, nor did he text- he posted a picture on Instagram and updated his Facebook and Twitter status. Why are the words so spaced out? 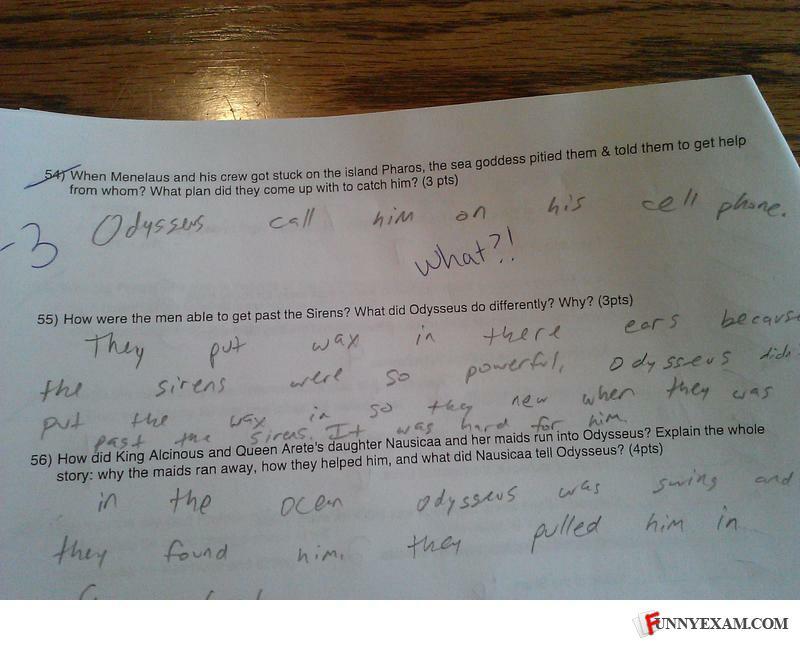 I doubt he actually read The Odyssey.